Vivo Apex, the full-view display smartphone from Vivo which was launched in March 2018 is now finally getting its new successor. 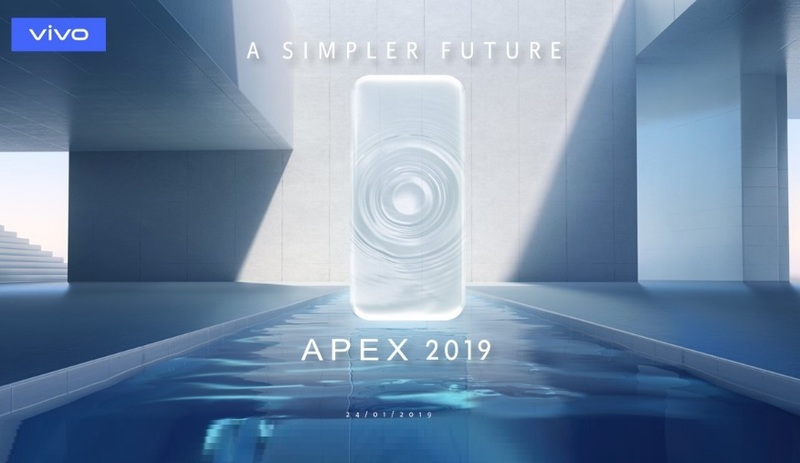 Vivo has now officially announced that it will launch the all-new smartphone called the Vivo Apex 2019 at an event in India on January 24. Vivo India via its official Twitter account made the announcement sharing the teaser poster of the upcoming device. It looks like the Chinese smartphone manufacturer will also be launching the device in China on the same date on January 24. Vivo has confirmed the China launch date of its Vivo Apex smartphone sharing the same teaser poster on its Official Chinese microblogging website Weibo. For those unaware, Vivo Apex was launch in China as Vivo Nex. The phone was featuring a 6.39-inch Ultra FullView Super AMOLED display with 2340×1080p resolution) with 91.63% screen-to-body ratio. The phone also features a second display with 5.49-inch Super AMOLED panel and (1920×1080p resolution). We are not sure about the Indian pricing of the Vivo Apex as yet but will finally know when the device will be launch on January 24.